Unfortunately, not all marriages last. While you may have hoped for the best and put years of hard work into it, it may be time you come to accept that yours has come to an end. Instead of avoiding the situation, what is best for you and your children is to bring in an experienced divorce lawyer and fight for the finances time sharing and property you deserve. You can’t change the past, but with the right attorney acting as your advocate, you can have a future that is much better than what you are leaving behind. Ellen Cronin Badeaux, LLC has been practicing family law and domestic law in the Gonzales, Louisiana area for 23 years. Instead of dragging out the divorce proceedings we’ll fight for you to get what you deserve, in a timely manner. Only then, once the divorce is final (which may take up to one year by Louisiana law), can you truly begin to move on. We truly believe that every client is unique, and therefore every divorce case will be different. That mentality is how we are able to handle divorce cases, custody and visitation cases, child support cases, spousal support cases and property partition cases so well. Divorce might feel like the worst thing to ever happen in your life, but it doesn’t have to be. This isn’t the end of your hopes and dreams. We want you to see divorce as a new opportunity to continue your life and rebuild it, and we are proud at the opportunity to help you achieve that. We offer free family law consultations over the phone, as well as consultations in our office for just $50. During a divorce, it’s crucial to protect your financial security and your children’s well being. 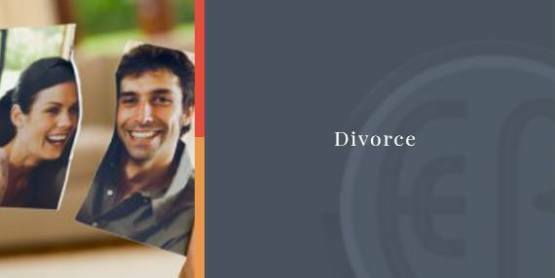 Contact us at (985) 892-1955 and talk with our divorce attorneys today. "I would like to thank your firm for everything you’ve done to help me keep 50/50 custody of my son. I came to you on very short notice but you knew exactly how to handle my case and I couldn’t be happier. I’m sure I will be working with you again in the future." "After retaining two lawyers who made no progress, I retained Ellen Cronin Badeaux. Yesterday was our first hearing together and it was a major success. Ellen was professional, diligent, and a fighter...I am very glad I found her and will refer her to others without a doubt." "Ms. Badeaux has been an excellent family attorney for us. Her time and personal commitment have allowed us to make informed decisions. We have had to trust her with very delicate and emotional issues and she has guided us to excellent outcomes. I will always appreciate the exceptional service she provides our family with. I have always liked the statement, "you get what you pay for"; and Mrs. Badeaux has been well worth it." 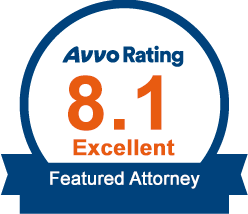 "Extremely knowledgeable and aggressive attorney. She has been our attorney for nearly 10 years. I highly recommend her for any family court matters." "I have used Ms. Badeaux as my attorney off and on for 15 years. She has settled everything without a fuss; including a personal injury suit, an estate settlement and the quick setup of a partnership. I will continue to use her as my attorney and happily recommend her to friends & family." "No one thought I could win but with her valuable service and exceptional legal knowledge, I did! I got my kids back and they're still with me today. I highly recommend Ellen Badeaux. I would not have my kids today if not for her!" This website is for informational purposes only. This website is not intended to substitute for personal legal advice and should not be interpreted as such, nor does it establish an attorney-client relationship. Please check current law as the content of this website are subject to change with the passage of time. © 2016 Website by White Shark Media.